Suffering from alcohol addiction? Trying your hard to get over this fatal obsession? 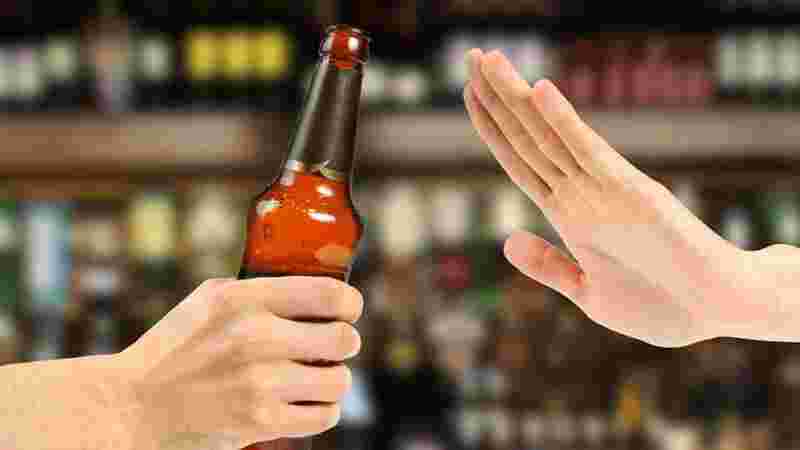 All those who are nodding their head and saying a big Yes to these questions, must go through the following ways to curb alcohol addiction. Drinking alcohol might seem exciting initially but it is going to land you in health troubles if you are addicted to it. Having it occasionally is still acceptable but keeping a liquor bottle at your side and sipping it at every next hour is not at all justified. Alcoholism only invites severe health problems and might also lead to death, if not treated on time. Set a goal- You should put your goal in writing. For this, you can list down the reasons for quitting alcohol such as happier married life, better sleep, less headaches due to hangovers, better concentration, and less disputes with loved ones. These reasons will motivate you to get over the addiction. You can set a goal of drinking less per day. Set a limit of our drink and do not cross the limit that exceeds the recommended one. For people under 65, two standard drinks are recommended. Keep a track- Yes, it is very important for you keep a track of your drinks per day. You should know how much you are drinking, so that you can stop the consumption once you have reached the recommended limit. What you can do here is to compare your current drinking pattern with the set goal. This way, you will know how successful you have been in reaching your goal and if you are lacking in achieving it then where and why. When you will question yourself, you are likely to answer them too yourself. No liquor at home- This is the important step towards curbing your alcohol addiction. You should keep no liquor at home. When you keep alcohol in your home, it is in your easy access and you tend to drink frequently. For instance, when your friends are at your home, having supper together, you would not think even once before taking out the bottles of your favorite whiskey. It is because they are in an easy access. On the other hand, if you won’t have it at your home, you will think twice before going out, travelling all the way to a wine shop and then getting it. As a result, not keeping liquor at home will control your alcohol consumption. Drink slowly- You should drink your drink sip by sip. You should avoid consuming alcohol on an empty stomach and must ensure having a glass of juice, soda, water or any other healthy liquid right after you have had liquor. The trick is to make the major part of your tummy full with the snacks. When you will feel full, you are likely to drink less. Learn to say NO- If your friends pressurize you to have a drink and you drink only because of this reason then it is high time. you should learn to say No. Nothing holds more value than your health. If they are your real friends then they won’t insist you after you have clearly said No to drinks. Good friends understand and support. It is possible that they might also avoid drinking seeing your determination to not to drink. If your alcohol addiction is beyond your control now then you should approach the best psychiatrist nearby your home. You will find many psychotherapists in Delhi but make sure that you approach only the reputed one. The psychiatrist must have a license to practice in the medical industry and should have experience of handing a variety of psychiatric problems like dementia, depression, insomnia, migraine, bipolar affective disorder, obsessive compulsive disorder, panic disorder, schizophrenia and social phobia just to name a few health issues. Visiting the therapist’s website will be an advantage, as you will be able to see the testimonials of the patients who have already availed the treatment from that particular psychiatrist. Once you are absolutely sufficed with the reputation, treatments offered and the charges of psychiatry treatments, you can approach that very psychiatrist in Delhi without keeping any second thoughts in mind. Thus, reach the best most experienced psychiatrist and get your alcohol addiction treated on time. Have a happy and peaceful life!